Obtain a truck licence with ABG training. 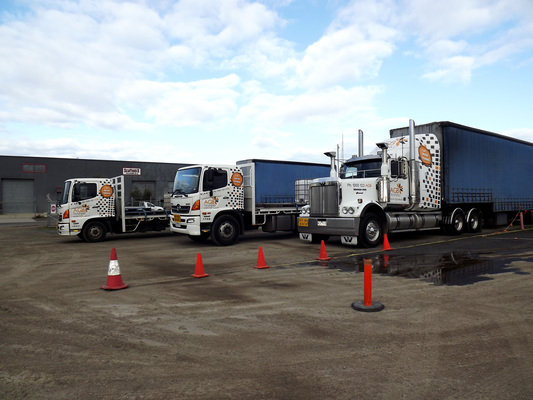 AGB Training has been helping drivers get their truck or forklift licence for almost a decade. In fact, AGB Training is the only place in Geelong to obtain a truck licence. The process involves a theory assessment followed by a practical training and assessment with an AGB driver. Practical training includes vehicle inspection, getting to know the vehicle, truck dimensions and weight, working gears, adapting to road conditions, road and highway driving, reversing, securing loads and more. “All our trainers are great at welcoming students and making them calm and relaxed while driving and paying attention to detail. They get to know the student before getting into the truck,” says AGB Training’s Ineke Alsop. AGB Training takes the worry out of getting a truck licence, Ms Alsop says. AGB Training offers affordable light, medium, heavy, heavy combination and multi-combination vehicle licensing. Truck licensing is available seven days a week. More information is available by phoning 1300 123 242 or visiting agb.edu.au.